Taika Waititi is best known for his quirky, Wes Anderson-esque comedies about clueless characters, such as Eagle vs. Shark, his mockumentary horror What We Do In the Shadows, and HBO's Flight of the Conchords. On the surface he doesn't seem like the type Marvel would seek to direct Thor: Ragnarok, until you remember that it's an intergalactic buddy comedy with a pair of Avengers. His talent is making the conventional unconventional. It's a skill he puts to good use in Hunt for the Wilderpeople, which may sound like a National Geographic special but is actually a genuine, offbeat road trip comedy/coming-of-age film about a misfit boy's adventures in the New Zealand bush. Much of Hunt for the Wilderpeople will feel familiar, but it's the unique characters and funny dialogue that make it stand out. 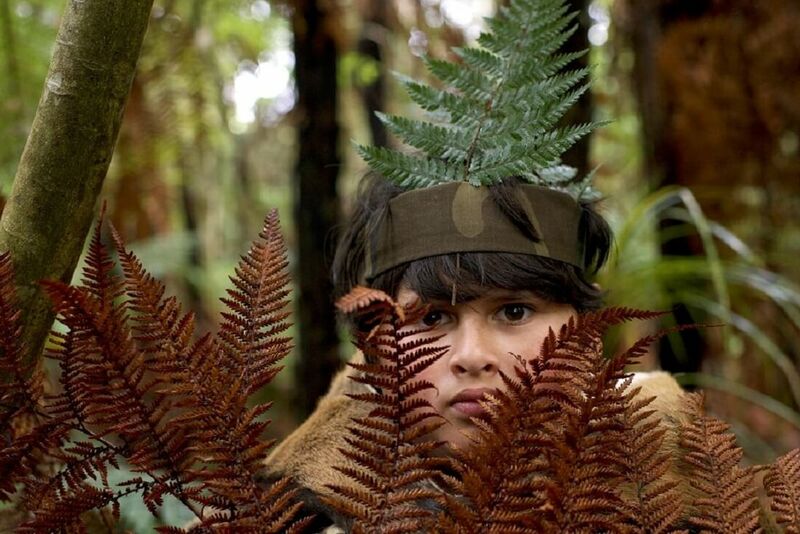 The one audiences will instantly gravitate to you is Ricky, played by Julian Dennison, a real find. It's his third feature but will be the first to most people, and he makes the kind of first impression that pegs him as a future star. Think the first time you saw Jonah Hill or Seth Rogen and he has that kind of impact. He helps get the film through patches where it's perhaps too recognizable. Ricky is a troublesome foster kid who has been shuffled off from one family to another, never able to stick. When we meet him he seems more troubled than troublesome, and his child-services officer Paula (Rachel House) definitely sees little good in the chubby, hip hop-loving boy. Fortunately, Ricky's new foster mom Bella (Rima Te Wiata) sees the heart of gold within that defensive shell. She instantly takes to Ricky, caring for him as if he were her own. The same can't be said for her gruff and isolated husband, Hec (Sam Neill), who wants nothing more than to be left alone to tend the farm and trek the mountains. So Hec's especially unhappy when circumstances leave him the only one who can take care of Ricky. With an over-eager Paula returning to put Ricky back into foster care, the city kid flees into the wilderness and likely would die of starvation if Hec didn't come around to rescue him. What unfolds is an enjoyable journey of self-discovery, not just for Ricky but for Hec. The two prove to be more alike than either could have imagined. While on the surface Hec appears to be a mean old survivalist, and Ricky a bumbling, lazy child, those are just the images they project to protect themselves. Ricky has built an entire persona for himself based on his love of pop culture, something Hec doesn't understand. But he knows how to live off the land, and through the many misadventures and narrow escapes from the bat-crap insane Paula he helps Ricky become his own man. Waititi has a knack for making the far-fetched seem normal in whatever world he's created. 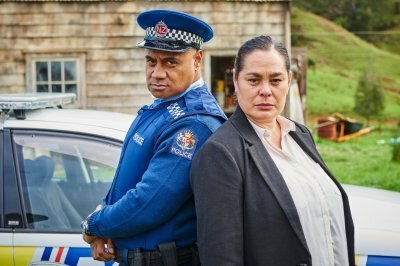 Ricky and Hec's great outdoors adventure turns into a full-blown action movie as Paula leads a crack team to hunt them down. Meanwhile, the film benefits from the occasional flight of fancy, such as a dance number by Ricky to the sound of music in his own head. Scenes such as this break up the predictable aspects, but at times you wish the story, based on Barry Crump's cherished novel, had taken a few more chances. Ricky and Hec's path to friendship takes every turn you expect it to when you expect it to. It's still charming thanks to the performances of Dennison and Neill, who have terrific chemistry and comic timing. Neill hasn't had a role this flat-out fun since Jurassic Park and you forget how good he is working with child actors. He always seems to get the best out of them. House's performance as Paula is totally off-the-wall and while it's often quite funny, other times her character is a touch too bizarre, as if she stumbled in from a different movie. Everything is rooted in some sense of emotional truth and Paula is the one character that doesn't apply to. 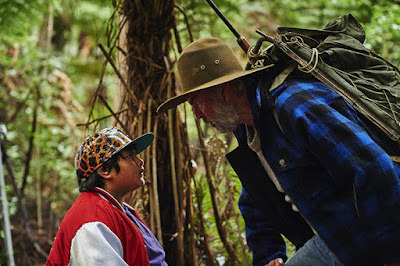 Hunt for the Wilderpeople could have easily been just another coming-of-age movie but it's Waititi's special voice, one that embraces characters that are weird and flawed and lovable, that separate it from the pack.